I play a Fender Precision through a Markbass combo. 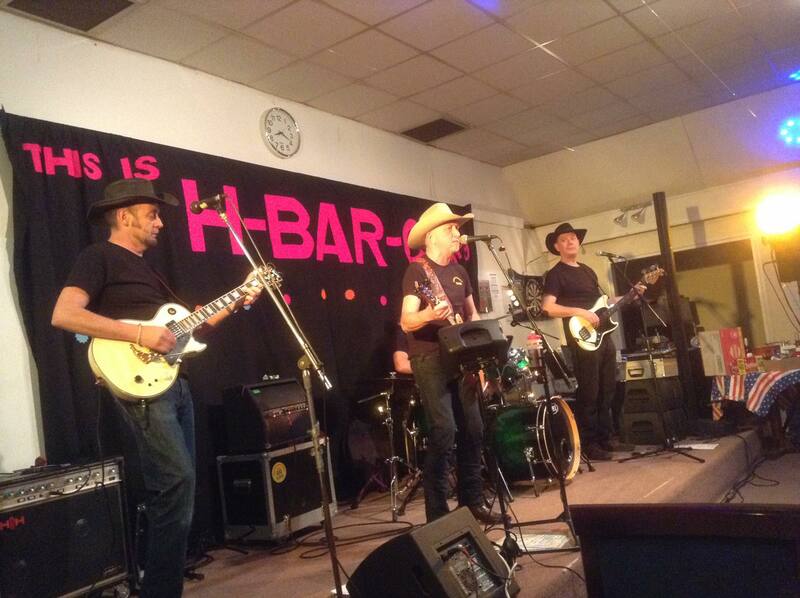 Our little band plays mostly country music with some Rock & Roll. My bass is strung with the factory round wounds and I am wondering if flats would be suitable for our music. Thanks guys. Love flats on my P bass although i’m Just trying out some NYXL rounds at the moment. I’ve been using Ernie ball cobalt flats and really like them. I’ve got a used set kicking about somewhere, I’ll stick them in the post if you fancy trying them out. sorry didn’t answer your question but not really sure if the country boys favour flats or not. Chromes. Like rounds but mellower with some presence - will do the job nicely! I am wondering if flats would be suitable for our music. Flatwounds were standard for bass up to at least the mid 60s, so most of the classic country songs as well as all the original rock’n’roll records would have been done with them. One of the very first to use roundwounds was John Entwistle - the Danelectro Longhorn he had in the early 60s was fitted with them, and when he broke a string, the only way he could find of replacing it was to buy another bass! Apparently he ended up with three of them, all with broken strings. Rotosound then started making the Swing Bass roundwound strings for him, and the rest is history... but I would guess most other players didn’t use them until at least the late 60s. One of the very first to use roundwounds was John Entwistle - the Danelectro Longhorn he had in the early 60s was fitted with them, and when he broke a string, the only way he could find of replacing it was to buy another bass! Apparently he ended up with three of them, all with broken strings. The infamous My Generation bass solo. Thanks. Now I'm GASsing for a Longhorn. Sigh. Now I'm GASsing for a Longhorn. Sigh. As I understand it Monk Montgomery playing with Art Farmer in 1953 generally seems to be regarded as the first recorded electric bass, the soundtrack to Return to the Forbidden Planet in 1956 the first time large numbers of people heard it and then Jailhouse Rock in 1957 is effectively the song that sold the instrument. So for rocknroll or country tracks pre dating 1957 it’s probably not bass guitar you can hear. From then to the late sixties, as has been said, it would have all been flatwounds. I was at a festival a couple of weeks ago that had two Rock & Roll bands. In one band the bass player had a Fender bass and in the other it was an upright bass with mic under the bridge. Both bands were good but the one with the acoustic bass sounded far more authentic 50s R&R to my ear. And of course an electric bass guitar looks pretty boring whereas an upright bass looks the dogs wotsits. Don't forget to give her* plenty of slapping. They like that. * I'm reliably informed that all upright basses are she, leastways they are in eBay ads. Slap? I’d rather stick pins in my pot shaft! I tried playing an upright once... it was like holding a shed with a tree growing out of the top. I could barely get my hand round the neck, it was about 2” deep. It was all I could do to get two notes out of it, and luckily that’s all the song needed... after that I passed it over to someone else! Leo Fender is my personal hero for several reasons. This is one of them . I have use flats with punk rock, but.... problem was the feeling, I liked the sound but I felt the strings so strange that I couldn't handle it, so I moved back to round wounds. I've played bass in a country band for the last 3 years and use flats on a Precision or Mustang. EDIT: I like D'Addario Chromes best. On a Mustang I would imagine there's a high risk of breakage where they kink through almost a right angle at the bridge plate... I've broken a couple on machineheads if the full winding reaches the slot. Nope, I am on my second Mustang bass with flats. I was aware this could be an issue, but it never has been for me. Bear in mind that although the Mustang bass has a 30in scale length, you need 32in strings to accommodate the extra length through the body. As for your breakage-at-machineheads problem, avoid by not using long-scale (34in) strings. I had one of those recently. If you - like I did - find it too thick and a bit muddy-sounding, rewire the pickup for parallel instead of series. It made a huge difference to the tone, and less than I expected to the volume. In the end I couldn't get on with the thick body though - a friend is now lending me an original '72 one with the normal thinner contoured body. I'm using standard Rotosound Roto Bass on it, they seem fine even at the tuners. That's exactly what I did! The bass instantly sounded much better, and you could back off the tone control without losing the upper mids.